Most of the people in our community like to have pets with them, but when it comes to Dog as a pet. Most of the people refuse this animal to keep with them. I also believe in this thing that ordinary dog should not be kept at home because it is not safe to be around but having a thoroughbred dog as your pet is a good option. You can keep it with you and your family as a pet. It is different from simple dogs. Let’s talk about them. Why should thoroughbred dogs be kept as a pet? What is so special about them? What are their advantages? Thoroughbred dogs are clean and vaccinated by different clubs from which you get them. If you think that having a dog at your place will make your or your family sick then don’t worry because thoroughbred dogs are safe to keep them as your pet. It won’t make you sick. 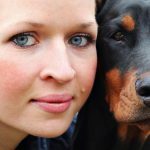 If you have thoroughbred dogs in your home then you will have fewer chances of having depression as compared to those who don’t have a pet at their place. If a person has depression then dogs will help them out to recover soon as compare to the medication. Taking care of your dog and spending time with him will help you to stay positive. Attraction and love for your dog will also release a chemical known as oxytocin from your brain which will make you feel good and happy. Thoroughbred dog is a pet which is so active that moves all around the home and it is said that the owner of the dog gets exercise for 30 minutes a day while playing and taking care of him. So if you are gaining weight or having heart disease than you should go and get the thoroughbred dog for yourself who can make you fit and healthy. 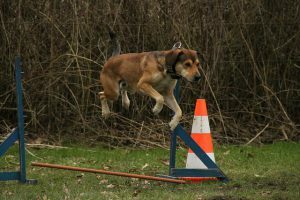 Having a thoroughbred dog at home for working people will divert their attention from work when they feel upset and stressed. Playing with dogs and taking care of them will make your tension free from sometime. As you, all know that thoroughbred dogs are very loyal. If you keep them with you at your home then it will also protect you, your family and your house whether you are at home or not. If any of the outsiders tries to come in they start barking. This thing can make you in aconfusion that how an animal can help you in diagnosing cancer. Yes, it is true. Recent scientific studies were made and said that there are some thoroughbred dogs who are trained and if they detect cancer or any lumpy thing in any part of your body then they start licking that part. Yes, a thoroughbred dog can save your life.